We are in for another crazy cold snap! If you don’t have to go anywhere this weekend …don’t! Let’s take advantage of staying warm and cozy in our homes and embrace the opportunity to catch up on some home maintenance! When was the last time you changed your air/furnace filters? This should be done every 1-2 months based on the quality rating of the filter. Especially if you have any allergies as my family does, this is very important for your indoor air quality. If it has been close to 6 months or longer since you checked your batteries in your smoke detectors and carbon dioxide detectors, let’s make sure we pull out the ladders and take care of that! 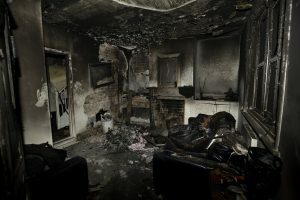 Properly working detectors is not the only key to saving lives in the tragic event of a fire, but smoke damaged contents are usually always salvageable compared to fire damaged contents. Every home is different, so make sure you include other monthly or seasonal items to your calendar. Whether you keep an online calendar or a simple wall calendar, check it regularly.